This is the classic three-quarter sleeve raglan top from Bella + Canvas, but this time, for the kids! Add any custom design to the white body, and then choose whichever sleeve colors works best. Give the gift of your heart (a pizza of it) on Valentine's Day. 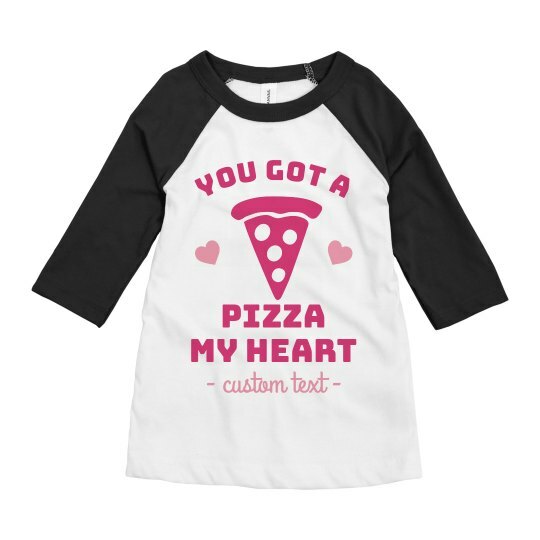 Customize a fun custom shirt that will get your kid to the V-day spirit by mixing it with the best thing since slice bread (and it's made of bread too!) which is no other than pizza!